Kim was excellent to work with! She knew our product (Pratt Villa) very well, let us know some of the prep we thought we should do before listing the home was not necessary. She highly encouraged us to quickly get our home on the market due to the time of year we were listing. Her price range was spot on with what we sold for. Our home sold in a week. Kim’s Assistant, Laurie, is excellent and keeps the process moving in Kim’s absence. They are a great team! Thank you! Kim is an amazing real estate agent. She helped to sell our home and also buy a new home. She is an expert in the real estate business and she always with you throughout the process from start to finish. Kim takes time to follow through and respond on any questions however busy she is. Kim understands the expectations both from a Buyer and Seller’s perspective and supports you to realize the same. Look no further if you need an expert who can realize your dreams of selling or buying a home. Kim is the goto agent in Twin Cities !!! Kim and the team are true professionals. Not only do they know the market and buying trends, they give you an honest and upfront assessment of your options. They then step you through the entire process and anticipate what needs to be done. They have sold 2 homes for us, and both were at the listing price. Kim and the team are focused on the details that make the process happen smoothly. They are excellent communicators and very responsive. We highly recommend them. Kim was without a doubt, the best realtor I have worked with! My wife and I started the house search while we were living out of state and were dreading having to look for homes remotely. Kim made this process incredibly easy! She is incredibly responsive and has a deep understanding of the Woodbury market. She talked us out of making hasty decisions and helped us find the perfect home! Kim is a Woodbury Specialist and the Best! She has assembled a top notch team and they made the process so simple and easy. We had two offers the day we listed at and over asking price. Kim is marvelous! Our selling process was smooth and swift during a slower time of year. Kim’s expertise for the local market analysis was tremendously helpful. Her team was also outstanding in managing the administrative tasks of the home selling process. I highly recommend Kim Ziton! From the initial presentation Kim was professional and knowledgeable of the area and more specifically our home. She was honest and walked us through each step of the way. We have sold and bought many properties in the past and Kim was always on top and ahead of our questions and concerns. She gave us the confidence needed to entrust in her our listing. Overall it was an awesome process with excellent results. Kim Ziton is absolutely amazing at what she does! We were referred to her by a family member, and we could not have been luckier. Kim knows everything about the area, is a master at handling the behind-the-scenes work, and is unbelievably responsive and helpful. After just a few chats, Kim knew exactly what we were looking for, and we ended up in the house our dreams much earlier than we even expected! Kim Ziton is the type of realtor that everyone should want. She is not only knowledgeable and informative but she is also, patient, when you have a never ending supply of questions, she does what she says she will do. No reminders, no issues. She works hard for her customer and will go the extra mile for you. We had a great experience with her and would not hesitate to use her again. We also worked with her assistant, Lori, who followed through on any issues or questions that we had and was prompt in answering them. Kim Ziton and her team were an excellent choice for us to sell our home in Woodbury. She is very professional and has an extensive knowledge of the market. Her team for staging, photography and support were outstanding ultimately leading to a quick sale of our home at a satisfactory price! We would highly recommend Kim as a realtor. Working with Kim was a great experience from start to finish. I bought new construction, and although there was a lot of waiting in between signing the purchase agreement and when the house was complete, Kim made sure to check in several times and see how things were going. She was an excellent advocate for me, and I couldn’t recommend her more! We highly recommend Kim Ziton as a realtor. From start to finish of the entire process we always felt Kim had our best interest at heart. She listened to our wants and needs and then helped us sell our old home and also find a new home that was perfect for us. She accompanied us to a meeting with a builder we’d been working with and asked question we hadn’t thought of asking. Kim is very knowledgeable with buying an existing home and also with the process of building one. We felt very comfortable in her hands. All of this was happening while a family member was terminally ill. We really appreciated Kim’s professionalism and prompt response time during that difficult time. Kim’s assistant Laurie was wonderful to work with too. She always responded quickly to our questions and walked us through things unfamiliar to us. What a great team to work with! I would highly recommend Kim as a real estate agent. Kim’s communication skills, professionalism and responsiveness to her clients is one of her key strengths. Her market knowledge, contacts and expertise makes her an invaluable resource. She has great listening skills and is very willing to work with her clients to meet their needs in order to get the deal done! There’s nobody I would trust more in a real estate transaction than Kim Ziton. Kim is a true professional in every sense of the word. She is always “on” and never misses a beat… her work ethic is second to none and her market knowledge and negotiation expertise is what consistently makes her a top performer in Woodbury. Many times I have emailed Kim in the wee hours of the night… and have been surprised to get a response within minutes… I have often wondered when she actually sleeps 🙂 Not only is she truly talented at what she does, but she is a genuine and kind person, who sincerely wants to find the best home for you and your family, not just the one that will make the quickest sale. When you have Kim as your agent, you know she’s always in your corner, and I can’t recommend anyone more for that job than her! We had a corporate relocation back to our home state of Minnesota and selected Kim to help us find our home. Kim was a consummate professional. What amazed me most was that as busy as Kim is being a top Realtor, when we were with Kim she was solely focused on our search. Additionally, Kim was prompt in all communication forms. Texts, phone calls and emails were returned very fast and always had good insight and recommendations. And finally, Kim’s negotiation skills were evident in our purchase offering. She understood the process and negotiated with our interests in mind, in a fair and professional manner. We would give Kim our highest recommendation. Here are the things that I believe sets Kim apart from her colleagues: Preparation, timeliness and a tremendous grasp on market knowledge. Her customer service skills are exemplary and she is acutely responsive. Kim uses her vast market knowledge to provide insightful pricing guidance and will be at her client’s side throughout the entire process. Above all these many fine attributes though, my favorite is her professional demeanor. 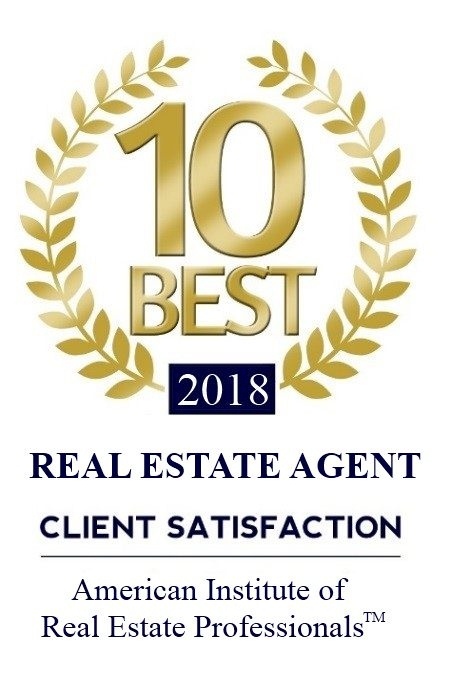 Kim is a pleasure to work with and although I hope I purchased my last home, were I to be a buyer and/or seller, there is absolutely no doubt about whom I would call. Kim is truly the best in the business. She is extremely knowledgeable about her field and the area. Kim’s response time is second to none, and she goes well above and beyond for her clients. Kim helped us find and build our dream home and was an invaluable asset and advocate for us throughout the whole process. We can not say enough positive things about our experience with Kim and HIGHLY recommend her. This was our second transaction working with Kim. We had a great experience working with Kim on both occasions! She always got back to us quickly and delivered an offer over our asking price on the first day it was listed on the MLS. Thanks again! Kim was fantastic to work with. Very knowledgeable of the area…worked to learn what my family and I were looking for. When we ran into issues with the appraisal and had to negotiate, she was there to give advice and help us understand our options. Would highly recommend Kim to anyone moving into the area! When it comes to getting the deal done that satisfies both the seller and the buyer, Kim is one to hire. She was open to my ideas and concerns and was very responsive to the changing market place. Works great and communicates often to buyer agent which was particularly important to me. I would recommend her to my family or friends. Real Estate Sales is hard! Hire a pro. Hire Kim. Kim is a top performer for good reason. She understands the marketplace, she’s very professional and responsive and she gets the job done. Better yet she is connected with international and our-of-state buyers. Kim goes above and beyond all expectations. She is a true professional. She’s honest, effective and no nonsense. We always felt like she had our best interests in mind and truly cared about our family. I had 30 yrs. extensive experience in the mortgage business & Kim was the only realtor open/willing to listen/partner with me on the sale price/details of my home. She included my market value opinions/research & incorporated it into our listing price. Other prominent local realtors refused to factor my expertise into it which would have resulted in selling for less than purchased in 2005. On purchase/building side, she attended all meetings & was a key player in all building, exterior/interior selections. Her expertise was exceptional. I highly recommend Kim for truly listening/partnering with me & her expertise on the building side. Couldn’t have done it without her! We highly recommend Kim Ziton to anyone that wants to sell and or buy a home. Kim made both selling and buying very easy for our family. Kim was attentive and available whenever we needed her. She made the process free from worries or problems. Her and her team of experts were excellent! Kim made the process of selling our home easier than we had anticipated! She responds within minutes of any text or email question we had along the way! (even when she is on vacation) Kim goes above and beyond to make sure that you are comfortable with everything from the listing process and getting your home ready to show to the final closing process. We would definitely recommend Kim to anyone thinking about buying or selling a home! I have purchased 6 homes in my career. Kim Ziton is by far the most professional and effective realtor in all of those moves. She knows the market well enough to have gotten two offers PRIOR to my house being on the market. She also knows the banking/closing/financial world extremely well. You really don’t have to worry about the details. Then there are the little things….KIm knows all the contractors in the area so that when you need a dependable plumber, or handyman or anything…she knows someone that is good. When you’re moving that is . invaluable. KIm is an amazing realtor. It became very evident to us that Kim has been local to Woodbury and the surrounding area for many years. She if very knowledgeable in many aspects when looking for your home. She not only knows values, but craftsmanship. She is fast to respond to any questions or concerns and listens to all of your needs as a buyer. From looking at homes, asking questions about multiple homes, to closing, this was a seamless experience. Her professionalism, easy going demeanor, and kindness was helpful in what could be a stressful situation. She is there for you entirely and makes you feel comfortable and at ease with the home buying process. We hope to get this opportunity with Kim again some day. Kim is sharp as a tack and quick as a whip, always a few steps ahead of the game and ready to strike. If you need to sell a house she’ll treat you like an adult and give the honest feedback to get listed at a realistic price. If you’re buying I cannot imagine anyone that’d work harder to protect your interests. She handled a relocation sale for us and despite there being the added complexity of a relocation company in the transaction she was always the driver of progress and never, ever the holdup. Highly recommend. List elsewhere at your peril. Kim not only was the listing agent on the new home we just purchased and also on our home we just sold. Kim is outstanding! Her knowledge of the market , what we needed to do to sell our home and to win the bid on the new home is beyond compare! We would recommend Kim to anyone either purchasing or selling….she is masterful at both skills! Kim is a great realtor. Her depth of knowledge and extensive experience along with her attention to detail, well honed communication skills, and a powerful desire to serve the needs of her clients makes her the right choice for anyone looking for a top notch real estate agent. Not only did she provide superb representation for us in the sale of our home but she also went above and beyond to assist us when an unexpected issue arose during construction of our new home. It’s hard to imagine that anyone else would have been able to provide as much skill to our real estate needs as Kim was able to deliver. Kim was extremely sensitive to our concerns. We were relocating and needed her and her associates to promote outr home. We’ve moved 6 times in our professional lives and worked with countless realtors and never had the experience we had with Kim. Her responsiveness, knowledge ( of the market and our needs) and attentiveness was unmatched. Whether you are moving across town or across the country I highly recommend Kim. She provided such exceptional service selling our first house, we without question had her sell our town home within the same month. Hands down Kim is the best real estate agent I have worked with. We would have missed out on buying the house of our dreams had Kim not called the listing agent to schedule a showing from the airport just as she got off the plane from a vacation. Now that is service! Kim worked hard for us. She even helped us sell our existing home and dealt with issues that came up in the most professional manner that assured we would not lose a potential buyer. A solid 10! Why work with anyone else! Words are simply inadequate to express what a wonderful experience it was to work with Kim on the sale of our home. We had previously listed our home with another agent who fell far short of being professional and further, failed to acknowledge they were out of their scope in trying to sell our home but continued to make a bad situation worse. We were nervous about how the process would go after that experience. Kim came highly recommended. Although we interviewed a few agents, I knew from the very first meeting that we were in Great hands! 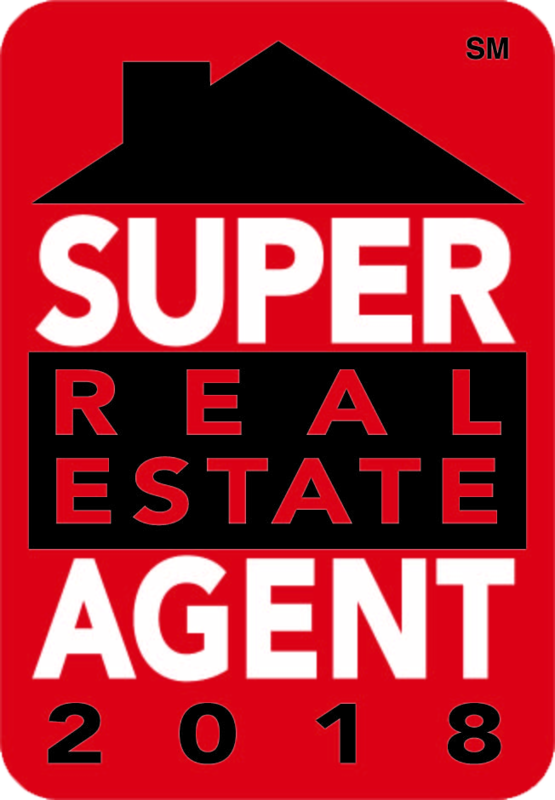 Kim is extremely knowledgeable and honest, very professional, super responsive and very pro-active. I am a busy professional myself and place a high value on organization, results and integrity. While buying/selling are exciting but stressful, Kim made the entire process seamless and easy and did so with a smile. From our very first meeting I was so impressed that she had already researched comps in our area and had put together a strategy on how best to market our home. She was honest and open about what she could deliver and what we could and should expect. She introduced us to her very experienced support team and made sure we were informed of everyone’s roll and how they fit into her sales strategy. She listened to our concerns and answered all my questions throughout the process. She responded immediately to any inquiries and handled any questions based on the expectations we’d set forth. Kim knows how to do her job extremely well and demonstrated that with us – we never felt like we had to make professional suggestions or felt unsure/uncomfortable about how things were being handled. Our house sold in less than 3 weeks. Kim handled everything down to the letter right through closing. There are not many times you can term a home sale as wonderful experience – but this one certainly was. I’ve worked with a few agents over the years with other home sales and purchases – hands down Kim is simply the best! I would and do recommend her to everyone. “We had a wonderful experience working with Kim Ziton. Kim understands the Woodbury market better than anyone we’ve met and is genuinely dedicated to working with her clients to help them make the best decisions possible. Her years of real estate experience and the connection she builds with her clients made our selling and buying experience so much easier. “Kim is truly one of a kind when it comes to customer service! She is always very responsive to requests and questions and there was never a moment where we were left guessing during the process of selling and buying a home. Kim helped us find our dream house and knows the Woodbury community better than any realtor we have worked with in the past. Not to mention, Kim knows her market and sold our home in just over 1 day! “I would highly recommend Kim Ziton. She sold my home in 48 hours for full asking price. Kim guided me through the selling process and I had complete trust in her and her recommendations. Kim is a consummate professional. She works hard and smart for her clients. Kim is experienced and knowledgeable and will go above and beyond to help you through the process. She comes very prepared and well researched. Kim is very professional and patient. Kim is wonderful about being available for questions into the evening. 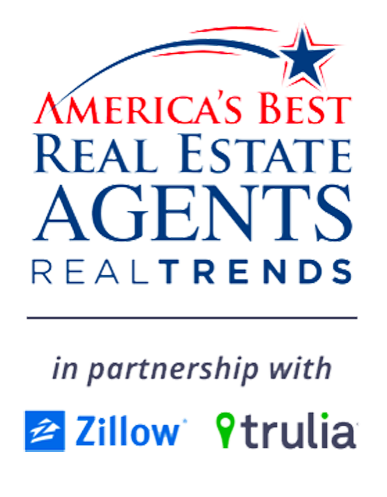 “Kim Ziton is hands down the best agent in the Twin Cities!! “As a young couple, this was the first home we were selling, so we had never gone through the selling process. Kim was very thorough in explaining what was expected and helping guide us along. She made the experience stress free and was available 24/7 for questions or concerns. “My father and husband were in the military so when we contracted Kim Ziton, it was my fortieth move. Our four children were married so it was time to leave our “dream home” of 17 wonderful years and downsize. *Kim was extremely sensitive to our emotions and desire for an elegant home equivalent to what we had. *Appreciating that we were also anxious to make the move as soon as possible and be settled again, Kim invested time to get to know us so she could sale our home quickly and show us exactly what we were looking for. *Even though she is highly sought after and has many clients at the same time she made us feel like we were her only focus. *She was always available when we needed her and her attention to detail and standards were beyond reproach. *She is extremely experienced and knowledgeable in all areas of her profession. Her advise helped us de-clutter and “stage” our home for a quick sale. *Her wisdom in setting the right price to sale our home was also very beneficial. *As we looked for our new home, Kim helped us keep our focus. *She was courageously honest to guide us away from a home that was alluring but would have been a poor financial investment. *Kim was always efficient, wise, organized, considerate, and very professional at all times. Out of all the realtors we have worked with Kim was beyond comparison in all areas. 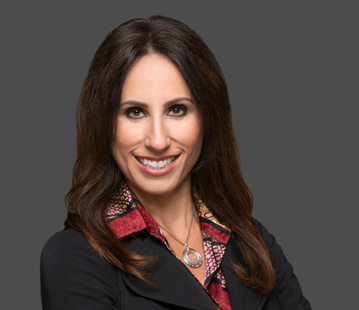 “If anyone is searching for a real estate agent who’s aim is to completely satisfy her clients, look no further than Kim Ziton! Our experience working with Kim Ziton has been wonderful. Our purchasing journey over the last year has demanded patience, attention to detail, and extensive knowledge of Woodbury, MN and the surrounding area. Kim Ziton was there for us in every measure. We had specific details we were looking for in our new home, and Kim tirelessly searched and kept us updated as new homes were emerging on the market with the details we sought. Kim is very knowledgeable of the builders in Woodbury and the features they put into their homes. Extremely helpful in our search. We were living in the Chicago area as we were making decisions on homes in the Woodbury area. Kim was so quick to zero in on our likes and dislikes that it only required one single-day trip to Woodbury for us to write up a Purchase Agreement and buy the home we really wanted. That is SO positive in a world today where so many are very busy in their work and don’t have the luxury of inexhaustible time to search for and look at homes. “Kim was absolutely outstanding and I am usually a very “tough grader.” We had a trying family situation and she navigated the entire process very well in a pathetic housing market. “Working with Kim was like working with someone I’ve known for years. My wife and I were split between buying a home or building a new home on acreage and Kim helped guide us through the process. She helped us look for land and get quotes to build. She exhausted all avenues and helped us determine that building was not for us. Kim took the time to listen to our want’s and need’s and with her vast knowledge of the area was able to pin point a neighborhood and a home that fit us perfectly. I would recommend Kim to anyone who is looking for a real estate agent and especially to job relocation folks that need a partner in the area who can search while you are away and that has an in depth knowledge of the neighborhoods. “Kim Ziton takes being a realtor to a level of professionalism that was beyond my expectations. As a busy executive, I really appreciate responsiveness, intelligence, hard work and professionalism. Kim exceeded my expectations in each of these areas and made the process very easy for me. Her marketing materials and overall campaign were incredibly impressive and unlike anything I’ve seen before. She understood my needs and approached the home sale with incredible energy, creativity and enthusiasm. “Not like anyone else I know. A true standout and compliment to the real estate profession. Kim assisted me with locating a location and subsequently building with Kootenia Homes. She is personable, professional, understands her market and knows quality and value. Kim isn’t just trying to sell you something to “get the deal and a commission.” I felt she was interested in me finding a “home” that I would value and enjoy. I consider Kim a business associate and a friend. Relationship and service after the sale have been just as strong as when I was working with her during the process. How many real estate agents can you consider as a friend? Call Kim, but hold on to your socks as she is motivated and has more energy than anyone I know. 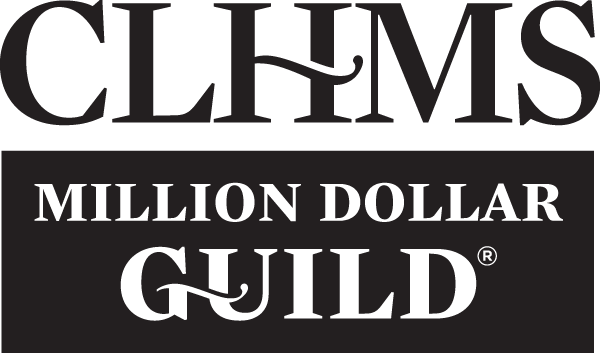 “We had the chance to work with Kim Ziton in the fall of 2001. Kim, a sales representative for Kootenia Homes, sold us our lot and facilitated our building plans. This was an unusual undertaking because it was a long distance project. Steve was living in the Twin Cities, while I stayed in Pennsylvania until January 2002. Kim was our go to person throughout the buying and initial building process. We couldn’t have had a successful project without her. Kim was extremely professional throughout our experience with her and Kootenia Homes. She was very accessible and followed up on any question or concern promptly, which was so important during our project. Kim always went above and beyond what she needed to do to make sure we were satisfied customers! “We have had the pleasure of working with Kim Ziton throughout the entire process of building our home with Michael Lee and can say unequivocally that her professionalism and attention to detail was exceptional. We were transferred here from out of state, and Kim went above and beyond guiding us through the entire process. We were so pleased to have her volunteer to take us around the Twin Cities to choose things for our new home. This in no way was required or expected of her, but she gladly took us shopping and offered her opinion when asked, which we valued a great deal. Kim takes her job very seriously and was always available to answer any questions or concerns during the 7 months that we worked closely with her. She was always quick to respond to the many calls and e-mails we sent, and told us to never hesitate to contact her for anything. Because of this, it allowed us to feel very confident that she had our best interest at the forefront. If she didn’t know the answer to a question, she said she would find out and always got back to us very promptly. Based on other experiences we have had, this is almost unheard of. The service we received from Kim was exceptional! “We are happy Kim Ziton asked us for a personal recommendation. As a sales agent for Kootenia, she took us from start to finish through our first home building experience. Kim started by greeting us warmly at the model and introducing us to the development and various house plans without scaring away the reluctant husband; later slogged through the snow with us to survey potential lots in a development with unfinished streets; and carefully guided us through the long and sometimes difficult design process. We came to trust anything Kim told us, whether it had to do with design, cost estimates, what to expect as the designing and building went along, or anything else.